Why Buy @ First Acura? Our sales department offers you an Acura Product Expert to provide a Master’s level overview on how to fully appreciate all of the new features and technology in your new Acura. We boast Acura Certified Master Technicians as part of our helpful service staff. We only settle for the best when it comes to employees and cars alike! Our service center offers accelerated service six days a week, with an oil change, HAND wash and vacuum all done in less than one hour. Add in our state-of-the-art service bays and loaner vehicles for all major services, and First Acura is the best choice for your Acura. Your time is valuable. We believe in pricing our Pre-Owned inventory daily at fair market value. At First Acura, you deal with one person from the second you walk into the dealership until the moment you leave in your new car. First Acura is a local family-owned dealership that has been serving the Providence metro area for over a decade. First Acura attributes our longstanding success to strong commitments to customer service, and a visionary approach to automotive sales and service. Our Service Department is proud to have been awarded “Fixed Right the First Time” award for the past 4 years. This comes as no surprise since we have placed in the top 10 Acura Dealerships nationwide for Customer Satisfaction Scores. Guaranteed Price – Every First Acura new or qualifying used vehicle comes with a written price guarantee. 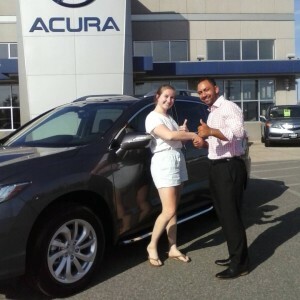 The Best Value Guarantee protects you; if you find the same or similar vehicle with the same benefits First Acura offers advertised for a lower price within five days of purchase we will write you a check for the difference, no questions asked. Another First Acura Happy Customer! 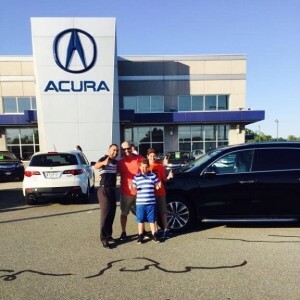 Satisfied Loyal Customers of First Acura!